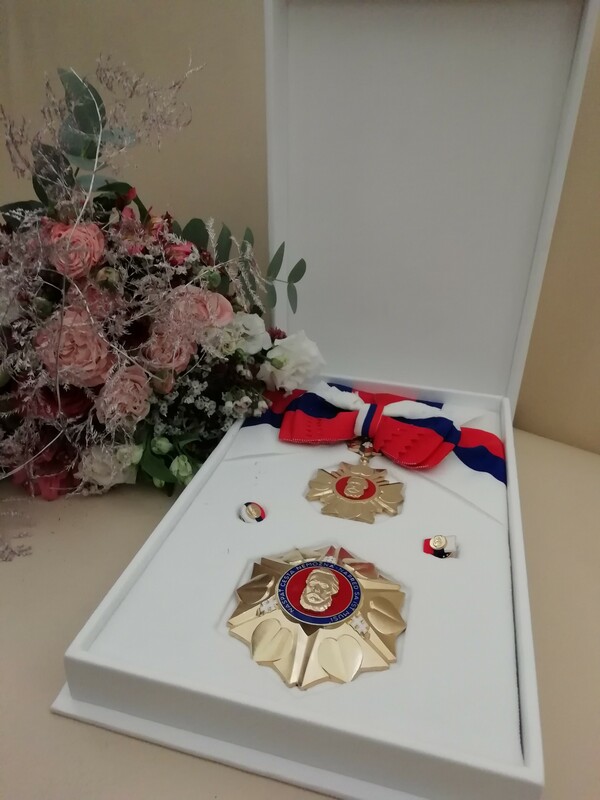 On 8 January 2019 in Bratislava,President Andrej Kiska awarded highest national honours for the final time in office. These were conferred onto 30 personalities – 15 women and 15 men. Among these was Darina Kárová, who was awarded the Order of Ľudovít Štúr I. Class for outstanding merits in developing the field of culture and performing arts and for promoting the good name of Slovakia abroad. The name of Darina Kárová isassociatedwiththe theatre festival Divadelná Nitra, where she serves as director, dramaturge and head manager. For the third decade now, her efforts have sustained an ongoing cultural miracle in Slovakia: an original event that enjoys an international standing, exceptional guests, thankful audiences and a circle of associates passionate about theatre. In the mid-1990s, she and her fellow artists stood up resolutely in protest against the wilfulness of state power. She co-founded the Open Forum Save the Culture, which was conducive to the political transformation that occurred during the 1998 fall elections. 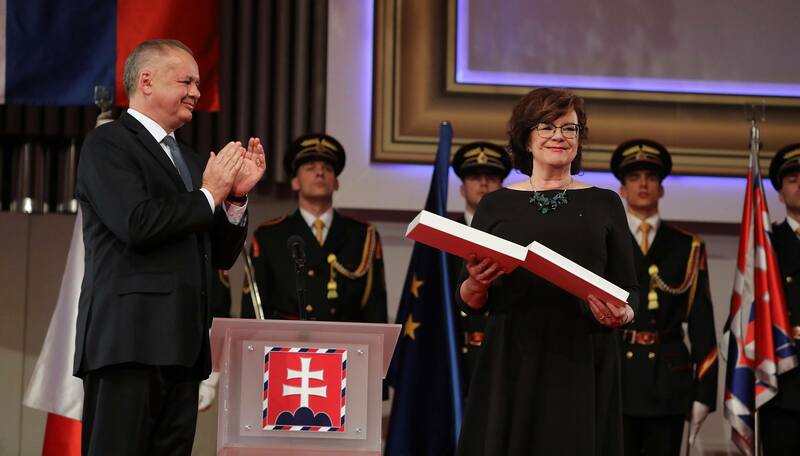 I would like to thank the President of the Slovak Republic Mr. Andrej Kiska for this distinguished award. It is a great honour for me to be receiving this mark of recognition. This medal is not mine alone. I would therefore like to thank all, and I mean all members of staff, curators, advisors and associates at the International Theatre Festival Divadelná Nitra whohave dedicated their expertise, energy and creativity to our common project over the past 27 years. I would like to thank all co-organisers and donors, as well as all international foundations, culture ministries, cultural institutes in Slovakia for their collaboration and support. Without their share and help, the festival would not have existed today. I also thank all media, supporters and festival visitors for their year-long presence and encouragement. My thanks also go to the hundreds of volunteers who have helped the festival since its very first days. And last but not least, I must also mention all artists – theatre-makers, musicians, filmmakers, writers, but also scientists, sociologists, political scientists and all those who made an appearance at the festival and whose merit made the programme attractive to both Slovak and international audiences. The fate of Divadelná Nitra, being a non-state, non-profit event, is permanently uncertain. I believe this award, too, will help maintain it alive and atstandard. That, with the help of new members in our team, it will enter the fourth decade of its existence and so constantly improvethe Slovak culture sphere and its reputation abroad. That the festival will remain a platform for the presentation of contemporary avant-garde art and exchange of progressive ideas in society for many years to come.